Sandy sits down the Chris Lenker /ATC @ATPodcast to discuss his journey and the future of Athletic Training! The profession of Athletic Training is so much closer to conquering the due recognition the field deserves but as close as it is, that’s how far off it just may be. To remedy this, my message today includes a few tips about what you yourself can do to help promote the profession. The 45,000 members of the NATA all strive to increase recognition for the profession and ethically represent their profession at the highest regard. The message, sooner or later, has to get out. Right? That message? The mandatory presence of a Certified Athletic Trainer at every high school sporting event Nationwide is paramount. This is the only way to prevent the mounting injuries and unnecessary deaths that occur each and every year due to the lack of qualified medical attention present, ready, and prepared to care for our athletes. Having the information in hand on how to treat concussions is one thing. Having top notch ATC medical care at the ready is another. It is our job as ATHLETIC TRAINERS and members of the NATA to effortlessly promote the profession and educate the public on the roles we assume each and every day. Athletic training has changed so much through the years and has advanced to such wonderful levels. Folks, we can go higher and achieve greater. The mission of teaching has to take place daily by each and every one of us. Spread the word, inform others, engage in dialogue, and reach out to your local legislators. Similarly, continue to let people know the difference between an Athletic Trainer and a personal trainer. Be proud to be a member of the NATA. As advanced as we think we are today, we could only have ‘achieved’ our present position through the hard work and desires of our predecessors. Be it Pinky Newell or any one of the innovators, the NATA has become what it has through the tireless efforts of so many. Have you thanked and or shared the message of your predecessors? Personally, I thank the endless number of mentors I had as a child growing up wanting to be an athletic trainer. “Thank You” Larry Starr, Kent Biggerstaff, Larry Mayol, Jeff Cooper, Bill Buhler, Gene Gieselmann, Tony Garofalo, Dave Pursley, and many more! Your influences on the profession deserve kudos in many regards and I personally want to thank each of you for sharing your guidance and wisdom with me and so many. The NATA first met with about two hundred members. Some 64 years later the profession has grown leaps and bounds. My other question to you: Have you done all you can do to help promote our profession? This is National Athletic Training Month. This, of all months, is your opportunity to reach out and become involved. Many of you are saying you have no time and you already do enough to help promote the profession. Au contraire! I offer several possible scenarios with each involving little to very little effort! * Pick up the phone and reach out to a media outlet in your hometown and offer to draft a PSA recognizing March as NATA month. Call the sports department of your local newspaper or the beat writer of your high schools sports team. Have them write about the profession calling special attention to members in the local community, thus further helping us educate the public. * Write a blog post similar to this writing for your local newspaper or media outlet. * Write and post social media entries promoting the month of March and our profession. * Call local legislators, town committee members, mayors, and government officials. Show up at a city council meeting and offer a resolution proclaiming March as Athletic Training Month. The onus is on us to further educate and our jobs are not done until each and every person knows who and what Athletic Trainers are! Just as we challenge our athletes and ever-growing patient populations to be the best they can be, this month (and every month for that matter) the challenge is ours. The challenge is about each and every athletic trainer promoting the NATA and advancing our profession. 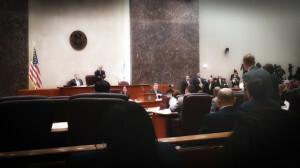 The above photo is from the March 5, 2014 City of Chicago Council meeting held at City Hall. I simply reached out to a local alderman and asked that a resolution on behalf of the NATA be introduced into City Record. 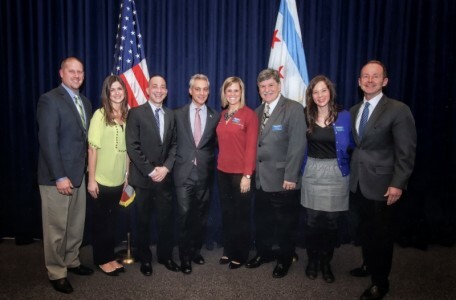 Athletico accompanied us to City Council that morning as Alderman Tom Tunney presented the resolution for record to Mayor Rahm Emanuel and the rest of the Aldermanic body. Congratulations are in order to the NATA and its members. Sandy Krum speaks with the Athletic Training Students of Ohio University during Homecoming weekend about his journey, the future of ATC’s, and the profession of Athletic Training. 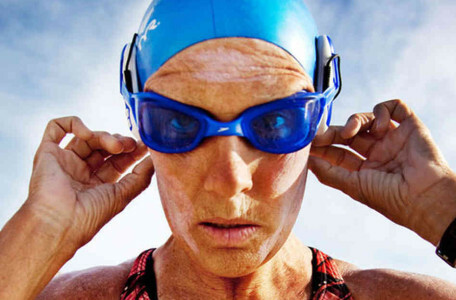 Diana Nyad’s recent achievement is stunning in so many ways, but now that she has accomplished her latest GOAL, what’s next for the 64-year old aquatic wonder? The lessons learned by her feat are too numerous to cover in writing, but here is a start to this dialogue. Nyad, accompanied by a support team of 35, departed Havana Cuba on a recent Saturday morning en route to Key West, Florida. She wouldn’t catch a flight or a boat, rather she would attempt for the fifth time to cross the 103 mile track by swimming the entire distance cage free and without fins! When we’re talking the ocean swim, that’s a big enough feat onto itself. Warding off jellyfish , sharks, the elements of weather, and the potential hyper/hypothermia: that’s simply another beast. A long distance swimmer with years of experience and determination beyond belief, Nyad and her team would attempt the crossing after four previous failed attempts. Illness, weather, and jellyfish stings would hamper previous crossings. The author of three motivational books and world renowned speaker continued to test her limits, reaching outside the box for the answers that would fulfill her determination. We can talk about her age, the difficulties she had to endure, her discipline, her focus, her GOAL, and her TEAM. Age is no barrier! I call attention to seniors Jerry and Estella Hayes, recent contestants on the reality show NBC’s The Biggest Loser. Not only were they both lost in years of protective wall building and hiding, the Hayes realized their extended family would not have the chance to see their parents and grandparents much longer if indeed they both did not change their physical and mental well being. Jerry and Estelle made the commitment and learned how to prepare and eat smart foods, and exercise to the fullest of their potentials. Each challenged themselves daily to change and better themselves. Each had their struggles but eloquently followed the course outlined for them by the BL TEAM. The Hayes recaptured their health and well-being and now continue to spread the message of their successes with encouragement for others to achieve what once was only a dream. Her lips blue and swollen as she swam through the night, Nyad was unable to hold down foods at called feeding times. Profuse vomiting and dehydration would ensue. To keep her core body temperature warm, the TEAM decided to have Nyad swim through the night until daybreak, extending her feeding time a bit so to maintain a solid core temperature. This way she could maximize her “running engine” vs. trying to stop and start like the breezy, thunderous night air. Kudos to her medical team for their efforts and guarded care! A team of divers would advance the way to clear pockets of jellyfish and ward off any potential shark sightings. Remember she is not in a cage as in others’ previous crossings. Basically her team and divers were saying: “Follow the path we set out for you and you’ll get to your destination!” How often have we had this done for us in our own endeavors and not accomplished the task? WHY? Traveling at an average of 2.2 miles an hour, the trip would land Nyad and her team on the shores of Key West mid day, ironically 53 or so hours later, Nyad would accomplish her GOAL. There, so many sat and watched, content lying on the sand and cheering. Here comes Nyad and her dolphin esque skills, swimming to shore! No, not your average spin class, crossfit WOD, or treadmill workout. This lady was swimming from damn Cuba to Florida! There was no quit, even from a cautious medical TEAM of doctors noticing slurred speech, nausea, swollen tongue, and vomiting from the sea water. Her core temperatures must have been crazy, and by all accounts she really may have been too sick to continue. No, not this time. The jellyfish would not get the best of her as she wore a specially made face mask to ward off such stingers. This too would cause another obstacle as the mask would cause severe bruising inside her mouth from the repetitive facial movements while turning her head to the side and breathing. Still, seawater would be swallowed. WOW, how did Diana stay focused on her GOAL, how did she navigate, and stay desired? There are no better examples of what the word TEAM means after watching this accomplishment. And to Nyad’s credit , she trusted her TEAM to help her achieve. Changes were made based on previous failures. Nyad afterword would praise the facial mask she wore as the tipping point to her successes. A silicone mask was indeed the savior of her two plus day escapade through dangerous channels. Doctors, drivers, divers, navigators, nutritionists, coaches and the like worked tirelessly to put Nyad in a position to succeed. Nyad’s individual accomplishment would only be attainable if indeed all the Team’s components played in unison! The takeaway messages from Nyad’s triumph will continue to develop over the days, weeks, and months ahead. Her powerful message and inspiration directed to so many, almost begging us all to take note. “Find the obstacles that may present and be prepared for anything to the best of your ability!” This foresight prevented the unexpected to take place. TEAM- The overwhelming winner here! What’s next for Nyad? I would only hope she continues to spread the all important messages she so beautifully exhibited. This, my friends, is a powerful message that was delivered to our laps so eloquently. Now, the better question is how can we incorporate her powerful display into our own protocols and ventures? Will we listen to the trumpet she played for us? Do I have a support TEAM in place and am I following the lead they are displaying? Don’t let this superb accomplishment go unnoticed. Take the will and desire from Diana Nyad and play your own trumpet. Having spent many years of my career as a Certified Athletic Trainer in professional baseball, at the Minor League and Major League level, I understand the importance of the TEAM concept and what it takes for a TEAM to be successful. For example, a baseball team is comprised of 25 players, the manager, coaches, and a Certified Athletic Trainer ( NATA / BOC ). For today’s game, the major league level has a greater auxiliary and coaching staff. training games and then march right into the 162 game regular Season. The drills of spring training would only be played out in the ensuing months, although no two games were ever the same or would you know when that muscle memory would have to “kick into gear” to successfully throw the runner out from various positions in the infield or outfield. 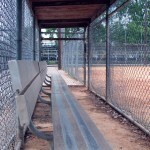 Training meant the endless bullpen “sidelines” with the pitching coach correcting mechanics or saying nothing. It also meant endless time in the batting cage with the hitting instructor doing soft toss drills. Yes, the players were all trying to hone their skills, fighting to become the best they could become to progress to the level above and ultimately the Major Leagues. two were absent. Conversely, a great offensive night by 8, combined with poor pitching by several, spelled trouble and bellyache for the Manager. 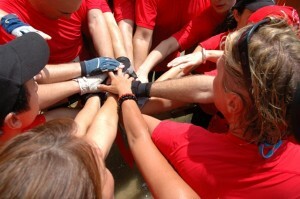 What really makes up a great TEAM? For the purpose of this writing I turn to Wikipedia to give us the textbook definition of TEAM: A team comprises a group of people or animals linked in a common purpose. Teams are especially appropriate for conducting tasks that are high in complexity and have many interdependent subtasks. 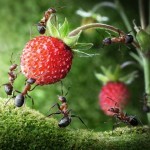 A group in itself does not necessarily constitute a team. 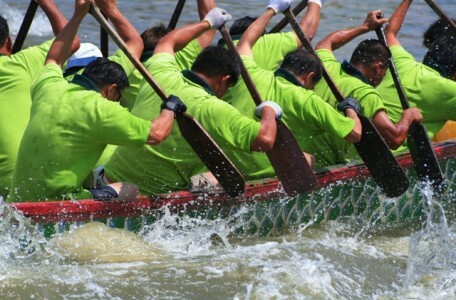 Teams normally have members with complementary skills and generate synergy through a coordinated effort, which allows each member to maximize his/her strengths and minimize his/her weaknesses. Team members need to learn how to help one another, help other team members realize their true potential, and create an environment that allows everyone to go beyond their limitations. A team becomes more than just a collection of people when a strong sense of mutual commitment creates synergy, thus generating performance greater than the sum of the performance of its individual members. Taking the definition alone back to our baseball team, a pitcher couldn’t perform if indeed he/she didn’t have the catcher guiding them or having the position players playing in unison. The synergy generated by this coordinated approach allows just what the definition states: maximizing the strengths and minimizing the weakness. Going beyond one’s true potential can only happen when the team performs together on the same platform, thus allowing the individuals to compliment one another and reach this ultimate level of competition. The combined synergistic energies are what makes a team just that. The classic definition says that the mutual sum of these combined efforts are much greater than the individual accolades. Success was not a given and true commitment to helping the team was paramount. Incredibly, I came across many players with the “I-I-ME-ME” mentality. Everything was about them! When talking of the team they would often emit “I did this or I did that” VERSUS “we did this and we did that.” This meant they were truly more impressed with their individual successes and the team concept never entered their equations. It is the greatest feeling when a team comes together and becomes so good together, almost great. Many in the game term this as a “Push Button” club. The manager’s role becomes limited to showing up to the park and pushing a button, if you will, and the TEAM goes out and performs, day in and day out without fail. No change in chemistry is needed as all systems are go! The team is winning games, Players are in the positions they’re supposed to be in, the correct pitch is thrown in the most crucial of situations, timely hitting occurs daily, and the manager sits and watches the fruits of success ripen from the intense daily instruction and practice. We can all count on each other. Accept your role on the team. Finding a way to win. Be willing to make some personal sacrifices. Understand what we can control and what we cannot. Athletic teams are driven to the ultimate, the championship of that given sport! The NFL’s Super Bowl, MLB’s World Series, NHL’s Stanley Cup, . You get the point. These are the ultimate, the pinnacles! These are the Goals all good teams strive to achieve. From the family perspective, are all the necessary components in place to achieve a similar goal? Are you doing your best to be a team player? Are the players around you complimenting you and your play, day in and day out or are they hindering your progress? Are you all on the same mission? Do your “teammates” all have the same goals in mind or are they playing for themselves? Is your Support Team of Coaches, Physicians, Certified Athletic Trainers and Personal Trainers “on point”? Are family members on board and if not, why not? What can you do to better this situation? Am I too much “I-I-ME-ME” versus “US-US-WE-WE”? Remember, constant re-evaluation of your “team’s roster” is paramount to achieve continued success for yourself and the franchise. I have enjoyed an over 25 year career in athletic training and throughout my practice I have run into well-intentioned questions from clients and others about the distinctions between my job and other professions with similar titles or practice arenas. With important legislation related to the athletic training profession pending in Sacramento that would finally bring California in line with 48 other states, I thought this was a great opportunity to share a bit about the profession, how it is regulated, the role athletic trainers (ATs) play in the lives of Californians (see CATA) and why this legislation is so important to me personally. Often confused with fitness/personal trainers, physical therapists and other health and wellness professionals, the role of an athletic trainer is set apart through distinctions including education, training and responsibilities. I could not be prouder to be an athletic trainer, nor more pleased to have the opportunity to work closely with other professionals, like personal trainers, physical therapists, doctors and nurses, who share my profound commitment to the health and wellbeing of others. As an AT, I am part of a continuum of care whose structure promotes the best performance and quality of life for clients. That said, it is important to note that each of us in this continuum has a different role and purpose, and vital that each are regulated. For instance personal trainers primarily help people become and stay physically fit. They work in gyms and health clubs, resorts, universities, workplaces, clients’ homes and, as I know well, some even work on television. Physical therapists, on the other hand, have their role in helping injured or sick people improve their movement and manage their pain. Both of these are great roles, but certainly different from the work of an AT. 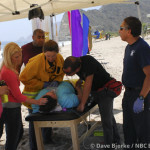 In basic terms, ATs are allied health professionals who work with physically active individuals of all types to prevent harm, evaluate and recognize injury and stress, provide first aid/emergency care, work in rehabilitation and conditioning of injured individuals and supply guidance and education on issues related to injury and other conditions. We work in a myriad of settings, including secondary schools, colleges and universities, professional sports, sports medicine clinics, hospitals, the military, industrial and commercial entities. In essence, ATs are uniquely qualified physical medicine and rehabilitation specialists who provide acute injury treatment, a continuum of care from injury and illness prevention and return-to-activity clearance for athletes and other physically active individuals. With more than 50 percent of ATs working outside of sports fields, it is likely that your life is, or will be touched by the work of an athletic trainer on a regular basis, whether you are an athlete or not. 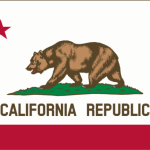 Despite the critical role Certified Athletic Trainers play in the safety of athletes and physically active people, California is one of only two states in the country that does not regulate Athletic Trainers. Having significant experience working with unlicensed trainers in a career spanning professional sports to TV, I know firsthand many of the ways that this has serious consequences to our safety. The bottom line is that athletic training is a profession that is regulated by 48 states, recognized by multiple governmental and healthcare agencies as a specific healthcare profession and which has a single nationally accredited education and certification process. Right now in California, the practice of athletic training is completely unregulated, so anyone is free to call themselves an athletic trainer, regardless of education or training. What makes the matter even worse is that the public has no ability to register complaints nor can the state investigate and sanction unsafe or unethical providers. AB 864 will provide assurance of minimum standards of competence of practitioners and will allow those that are practicing illegally, unsafely or unethically to be sanctioned. Who in their right mind would expect any less oversight of a healthcare professional? That is why I am so disillusioned by opponents of this bill who mischaracterize or outright lie about the bill, its purpose and its content. Let’s separate the AB 864 facts from the unfair lies. The first falsehood I have heard from detractors is that the bill is an attempt to expand an Athletic Trainer’s scope of practice, create a new profession or mandate insurance carriers and Medicare for reimbursement. I have done research, asked those in the know and verified with total certainty that this is not true. Nothing in this bill allows for billing or reimbursement. Insurance companies – not state laws – decide who gets reimbursed. Furthermore, Medicare does not allow for reimbursing rehabilitation services of Athletic Trainers while they work in a physician’s office. AB 864 will not change this, nor is it even trying to do so. Moreover, the idea that a new profession would be created or that Athletic Trainers would be in a legal position to diagnose or practice medicine is totally, completely and 100 percent false. Oversight of cases and patient referrals will always be the job of doctors – they are the most qualified to undertake those decisions. Others claim that efforts are underway to replace physical therapists with Athletic Trainers in clinics, essentially stealing the physical therapists’ long-accepted roles. This idea is completely ridiculous. Athletic trainers can never replace physical therapists or their expertise. We can, however, augment the care to specific populations alongside physical therapists, so there would be no reason or motivation to attempt to take jobs from other providers. Let me tell you in the simplest terms what this bill does. It addresses the licensing of Athletic Trainers by regulating a healthcare profession that is currently practicing but still unregulated in this state. Passage of AB 864 would ensure that those who serve as athletic trainers have the proper education and certification. AB 864 simply seeks to prevent unqualified healthcare professionals from practicing and protect Californians through regulations of practicing healthcare professionals. I have heard many other ATs with the same message as mine: athletic training professionals firmly believe in the continuity and integrity of care; we understand that this often means a variety of providers are required to give these services. The playing field is big enough for all professionals to play a role in offering athletes and other active individuals the best care, education and quality of life possible. 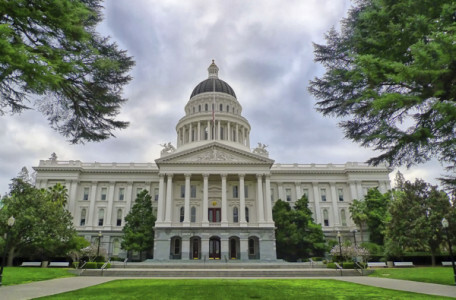 As if the regulation of health care providers to assure the highest standards were not enough, another feature of AB 864 is that the bill is cost neutral, meaning it will cost taxpayers nothing. Athletic Trainers will pay for their own licensure. Additionally, it is worth noting that Athletic Trainers who work in industry, military and with police and firemen save their employers or city government’s workman’s compensation costs. With so much to gain and so much at stake, I really don’t see how the detractors have gotten any traction. But the fact is that they have. Won’t you join me in setting the record straight on the important role athletic trainers play in our state and remind those opposed that assuring the competency of ATs matters as much as the assurances presented by any other professional currently regulated in the state? My past has aptly demonstrated the profound need for this legislation and my future prospects, and those of all active individuals in the state, depends on the genuine understanding of what the bill does and does not do and the subsequent affirmation that safety, health and common sense demands passage of AB 864.